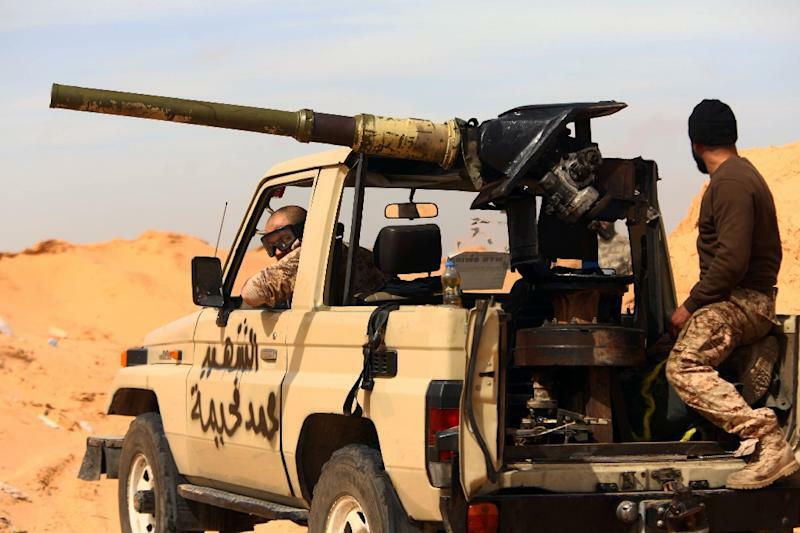 UN Special Envoy to Libya Bernardino Leon says Libya is at risk of becoming a "failed state"
Algiers (AFP) - The UN's Libya envoy told rival sides attending new peace talks on Wednesday that the North African "country really is at the limit" and risks becoming a failed state. 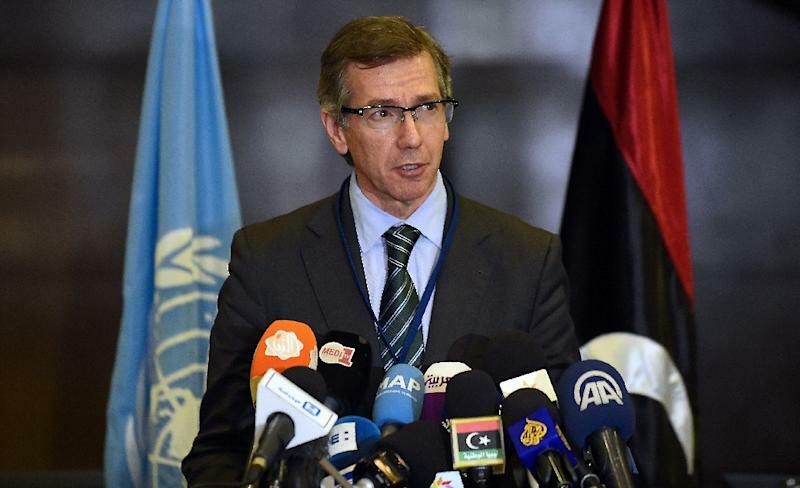 UN Support Mission in Libya chief Bernardino Leon exhorted those attending talks in Algiers to acknowledge their common interests, particularly their fight against the Islamic State group, and to stop demanding new concessions of each other. Economically, he warned that Libya's institutions are running out of money to pay salaries and that, even if oil production returned to normal, it would not generate enough revenue to sustain public finances. Leon also pointed to continuing political impasse, as representatives of the internationally recognised government in Tobruk and the Fajr Libya militia alliance that controls the capital remain at odds. "The competing governments (are) not advancing, not flagging very clearly a decision to reach an agreement, while we have seen terrorism, we have seen Daesh (IS) becoming more and more important in the country," he said. "If the people involved... don't understand this message very clearly and continue to try to get more concessions from the other side without understanding that Libya has reached the limit, the result will be that Libya will become a failed state." He said progress cannot be made if one side accuses Fajr Libya of being a terrorist organisation, while the other accuses the Tobruk government of championing the interests of those who supported ousted dictator Moamer Kadhafi. "There is no more room for these narratives. There is only room for moderate Libya to agree on a unity government and on the main framework and agreement that will sustain this government. "Libyans are telling us very clearly 'enough is enough' and the time has come to make this agreement. We don't want any more political debates... we want the people who are negotiating to think of all Libya and to think especially of the Libyan people that is suffering," he said. Speaking in Qatar on Tuesday, Leon said he believed that 75 per cent of political leaders in the strife-torn country wanted peace. "I think we will see an opportunity (for peace)," he added. "Most groups are now supporting a political solution." Three rounds of talks have so far taken place in North Africa, but failed to bring peace. During April talks in Morocco, Leon and other negotiators said the sides were very close to an agreement on a draft proposal to form a national unity government that would serve for a maximum of two years. 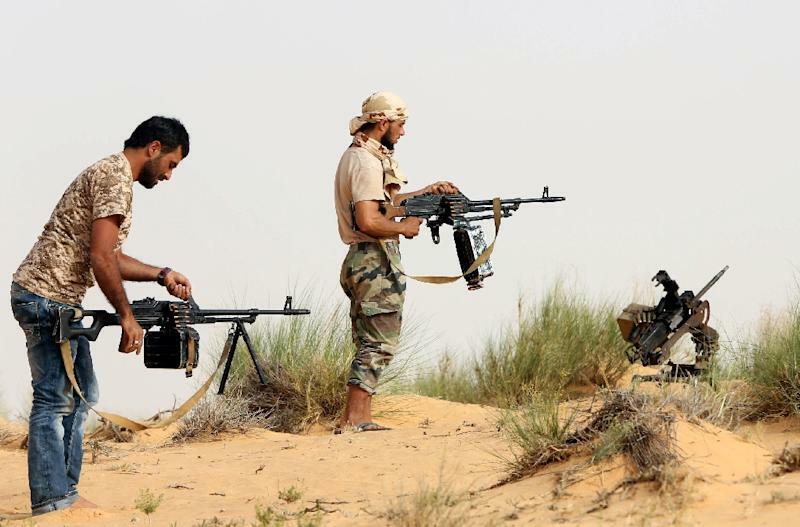 Libya plunged into chaos after a 2011 NATO-backed uprising toppled and killed Kadhafi, with battle-hardened and heavily armed former rebels carving out their own fiefdoms across the country.